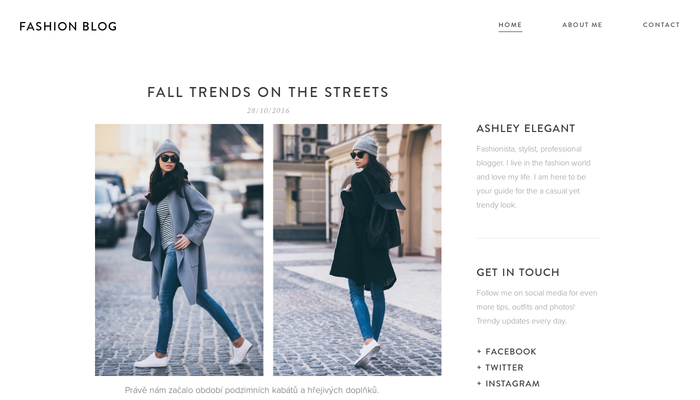 A template for all fashionistas and fashion bloggers. The sleek design shows all images in their best light. Showcase your outfits, accessories or snapshots from fashion shows. The well-organized homepage will help navigate your visitors to all the important parts of your blog.